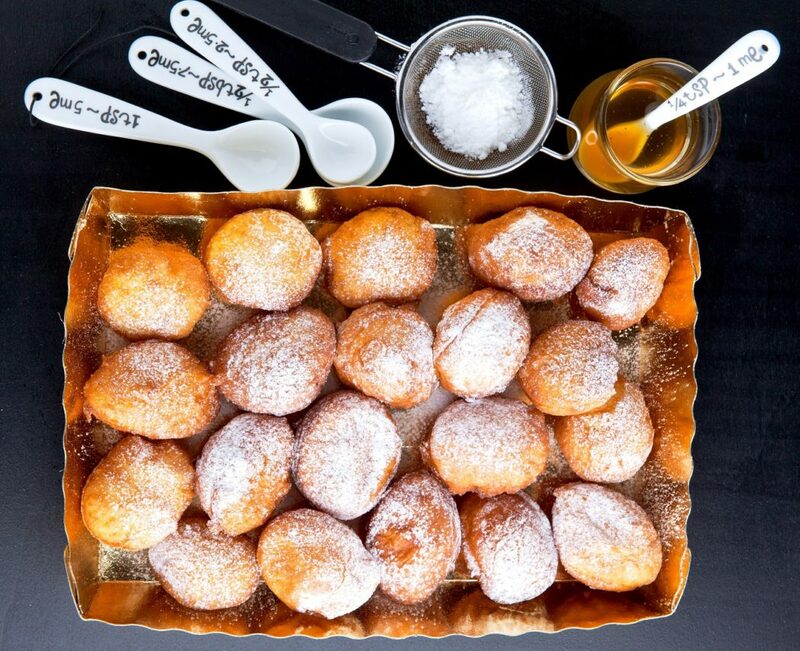 Dessert for breakfast, Part 3: Doughnut recipes from DINE innkeepers. We’ve been adding the sweetest recipe posts to our DINE blog, with a collection of fabulous sweet recipes to start the day from the Distinctive Inns of New England (DINE). We’ve coined the term “bressert” for starting off the most important meal of the day with dessert. In our first “bressert” story, we shared recipes for fruit crepes from Captain’s House Inn, Blueberry Breakfast Bake from Camden Maine Stay Inn, Chocolate Chip Scones from Deerfield Inn and Cranberry Pecan Cake from Gateways Inn. In the second “bressert” story, we offered up some fabulous chocolate recipes, like Dave’s Double Chocolate Waffles from Inn at Harbor Hill Marina, along with a Chocolate Zucchini Bread recipe from the Rabbit Hill Inn. We also shared an easy Strawberry Soup recipe from Cliffside Inn too. Whether you prefer sweet or savory breakfasts, you can be assured you’ll find what you’re looking for to start the day during each Distinctive Inns of New England romantic getaway. If you don’t like what’s on the breakfast menu, don’t be shy about asking for an alternative. Better yet, ask about breakfast options when you check-in, or state breakfast preferences when you book your reservation so your innkeeper can be prepared to create something you’ll love. Special orders don’t upset us, in fact, we’ve covered a number of gluten-free and vegan recipes in our blog. The last of our “bressert” series will focus in on a few doughnut recipes. Rabbit Hill Inn homemade raised doughnut (donut) recipe. This homemade glazed raised donut recipe will make you say “Who needs store bought? You really can make your own light, airy, delicious raised glazed donuts. 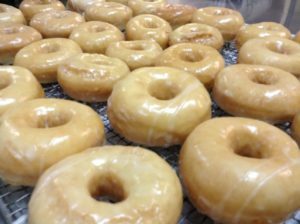 Rabbit Hill Inn’s Pastry Chef Phyllis shares her family doughnut recipe after innkeeper Leslie begged her. In addition to the doughnut recipe, you can watch the “How To Make Donuts” baking video here. Step 1: Pour milk into mixing bowl. Sprinkle yeast over milk. Let sit for 5 minutes, or until yeast starts “working”. Now add the remaining ingredients. Step 3: On floured surface, roll out dough until 1/2″ thick. Step 4: Using cutter, cut out donuts. Place donuts on flat floured surface. Step 6: In deep frying pot, heat shortening to 375 degrees. Fry donuts until golden color. Flip over and fry on other side. Step 7: Remove from oil. Rest donuts on brown paper or parchment to absorb oil. Step 8: Glaze with thin icing or chocolate. See video for more info on icing tips. Step 3: In a separate bowl, whisk together the milk and egg. Step 4: Pour the milk/egg into the bowl with the dry ingredients, stirring briefly; then add the melted butter, stirring to make a thick, soft batter. Step 5: When the oil has come up to temperature, use a scooping spoon to drop balls of batter the size of a squash ball into the hot oil. Step 6: Fry the doughnut holes for 2 minutes on the first side, or till they’re deep brown. After 2 minutes, turn the holes over with a pair of long tongs, and fry for an additional 2 minutes. Transfer the doughnut holes to a baking sheet lined with paper towels to drain and cool. Serve warm or at room temperature, sprinkled with powdered sugar and serve with Grade A dark amber MA maple syrup. This concludes our “bressert” recipe series. Simply click on the RECIPE button above to find more sweet and savory recipes. Better yet, save the kitchen clean up and plan your next romantic getaway at the 12 Distinctive Inns of New England by clicking on links below that will take you directly to each of their websites. Then, start your day with sweets along with your sweetheart. This entry was posted in Deerfield Inn, Rabbit Hill Inn, Recipe and tagged B&B recipes, breakfast for dessert recipes, breakfast recipe, breakfast recipes, donut recipe, donut recipes from innkeepers, Doughnut recipes, doughnut recipes from innkeepers, innkeeper breakfast recipes, innkeeper recipes, New England innkeeper breakfast recipes, recipe, sweet breakfast recipes by DINE Blogger. Bookmark the permalink.